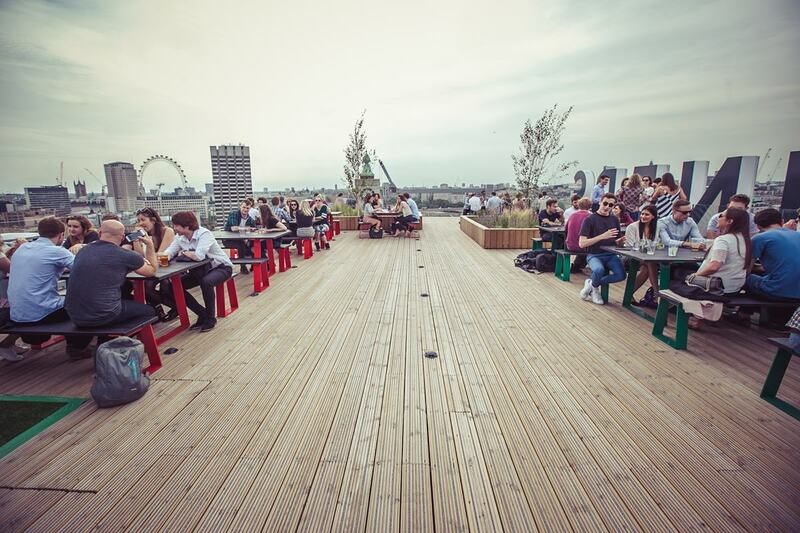 What better way to usher in the summer in London than by throwing a party? The arrival of the sun is definitely something to celebrate in our opinion. The capital is pretty limited on back garden space, so grab your guests and get them down to one of these perfect outdoor venues. Be it a corporate soiree or a private knees-up, maximise on that rare London summer sunshine and get booking a summer rendezvous to remember. The Sea Containers building on the South Bank is an iconic feature of the London skyline and now plays host to one of London's newest exclusive event spaces. A short distance from the City of London, the Sea Containers rooftop has panoramic views of London, which almost gives the impression of floating above the city; a perfect spot for a bit of summer revelry. Located in the centre of Shoreditch, the Courthouse Hotel combines the grandeur of a Grade II listed Baroque style building with the laid-back style of the area. With beautiful views over London, the space is the perfect place to spend a balmy, relaxed summer evening. 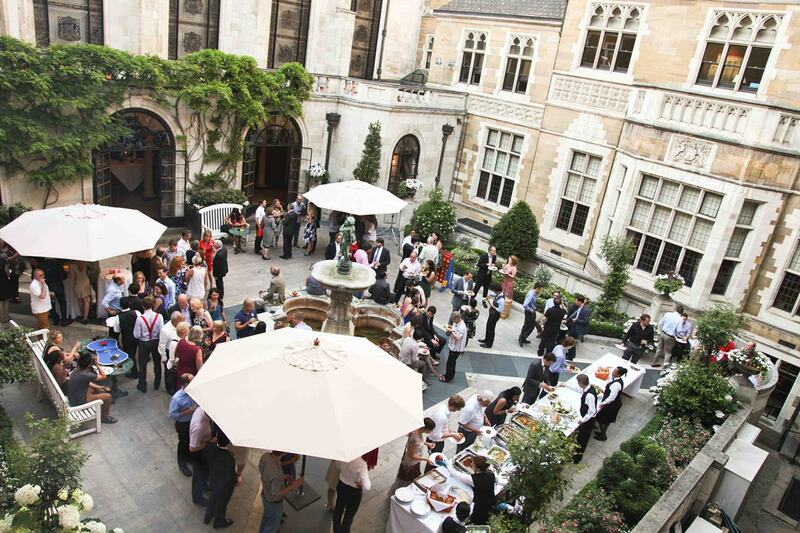 At the heart of the Merchant Taylors' Hall is the stunning Courtyard. The private stone-flagged space is enclosed and filled with flowers and greenery, making a delightful backdrop for a summer celebration. With a relaxed ambiance, the sunny garden is ideal for summer parties of all kinds, from casual BBQs to corporate soirees. This famous stadium is more than just the home of England rugby. It's also an impressive events venue with 7000 square metres of space available - including part of the hallowed pitch. Creating a unique backdrop for your summer event, you can enjoy a drinks reception or BBQ pitchside. It's one your guests won't forget in a hurry. Gray's Inn Gardens are known as 'The Walks' and were originally designed in 1606. They are among the largest private gardens in London with five acres of perfectly maintained park, right in the middle of Holborn, basically hiding in plain sight. There's a marquee on the site from late June to July that holds up to 600 guests. Catering is all in-house and is highly flexible, so if you've got a creative brief it's a fantastic option. The gardens are a truly beautiful space for a summer extravaganza, away from the hustle and bustle of London. So there's really nothing more to it - leave the cooking to the professionals and the venue booking to Hire Space, and you'll have yourself a seamless summer party, no sweat!